February | 2014 | Syed Jahanzaib Personal Blog to Share Knowledge ! 1. 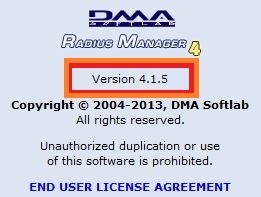 Copy PHP files to /var/www/html/radiusmanager (Fedora) or /var/www/radiusmanager [Debian, Oh yeah, That’s my Boy ;)] directory. 3. Stop rmpoller and copy the binaries to /usr/local/bin directory, overwriting the old versions. 4. Copy acct_users to /usr/local/etc/raddb directory. 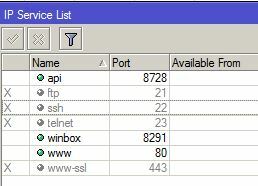 As requested Following is a quick and dirty way to export Mikrotik Local PPP (pppoe) users to USER MANAGER with same profile assigned as LOCAL profile section . I used the word dirty because there is no officially supported method that we can use by single CLI command or one window GUI. Our task is to migrate all local ppp users to USERMAN with minimum overhead management of manual workout. 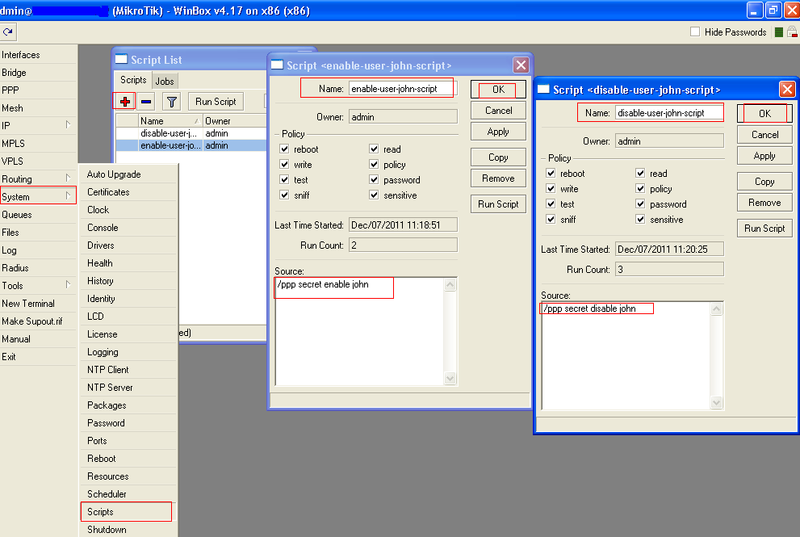 First Open User Manager, and configure /add the NAS , so that Mikrotik can communicate with the UserMAN and wise-verse. 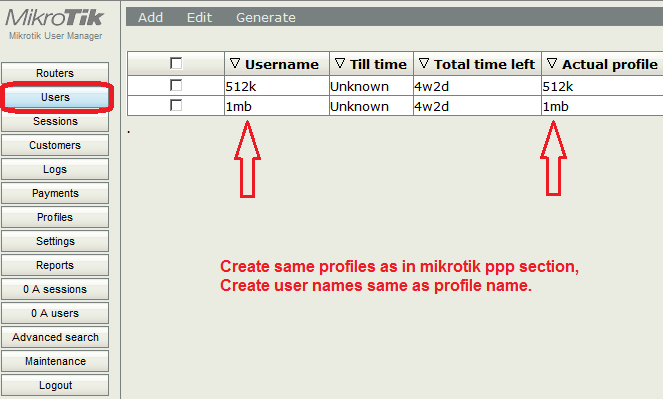 Now add same profiles in User Manager as present in the local Mikrotik PPP Section. Now as far as my dumb mind goes, I couldn’t found a way to assign profile to user using /tool userman menu, so to overcome this issue, I first created two users with same profile name and id. 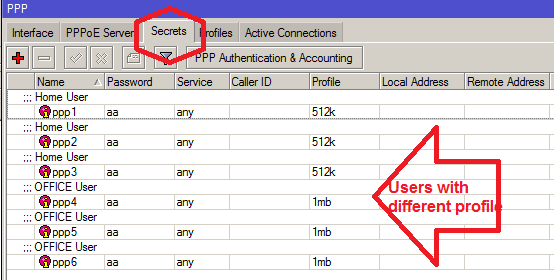 :log error "Make sure you have usermanager configured properly and created same profile names with same user name (master users for cloning) in USERMAN / Jz"
:log warning "Fetching USER details from /ppp secret section , Found $name $pass $profile $comment for EXPORT"
:log error "DONE. Script END. 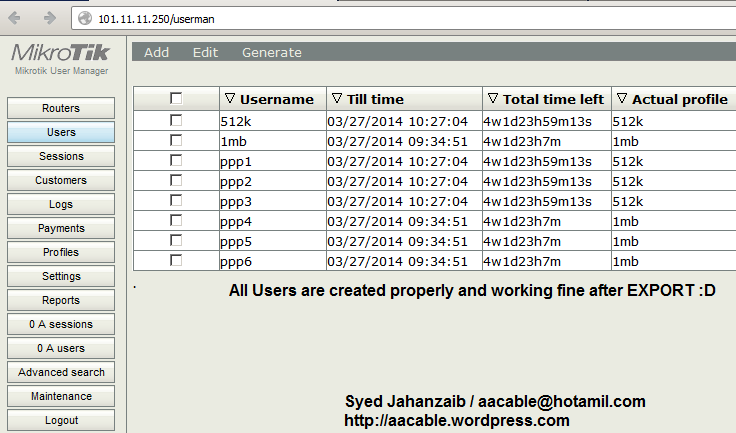 Now logout from USERMAN and RE login and check users section"
Example for CLI base profile addition. Quick Note on Winbox Save Password Security Issue. In my opinion, It could be annoying backdoor / password leak issue by WINBOX. Update: The script for youtube also adding translate.google.com in the list too. workaround is to either edit the script, or make an ACCEPT rule before the deny rule, which should accept traffic going to translate.google.com ip addresses. 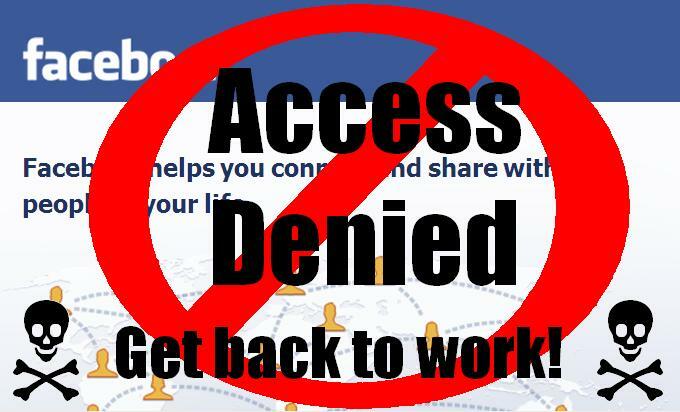 Recently I was working at a remote network where we configured hotspot for school students and the management wanted to block access to Facebook / Youtube & adult web sites. Blocking adult websites was easy by redirecting DNS requests to OPENDNS but blocking facebook was a bit tricky because some people from the management wanted to have its access open for specific users. I preferred to have a address-list with the FB/YT server’s ip addresses using automated script.This way I have more control for these destinations for multi purpose. 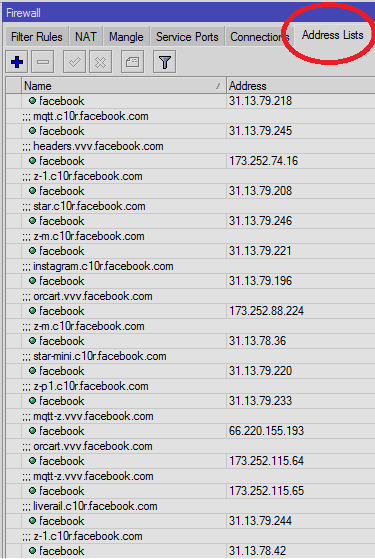 Create two scripts which will pick facebook/youtube related dns entries from the Mikrotik DNS cache and add it in “facebook/youtube” address lists. The below script(s) (which can be scheduled to run after every 5 or X minutes) will create a address list which will contain facebook/youtube server ips and later a filter rule will block request going to these destinations (using address list). To create this address list, it is required that your users must be using your mikrotik DNS as their primary dns , or make a dst-nat rule that forcefully route user dns (udp 53) requests to local mikrotik dns. :log warning "No address list for $TARGET1 and $TARGET2 found ! 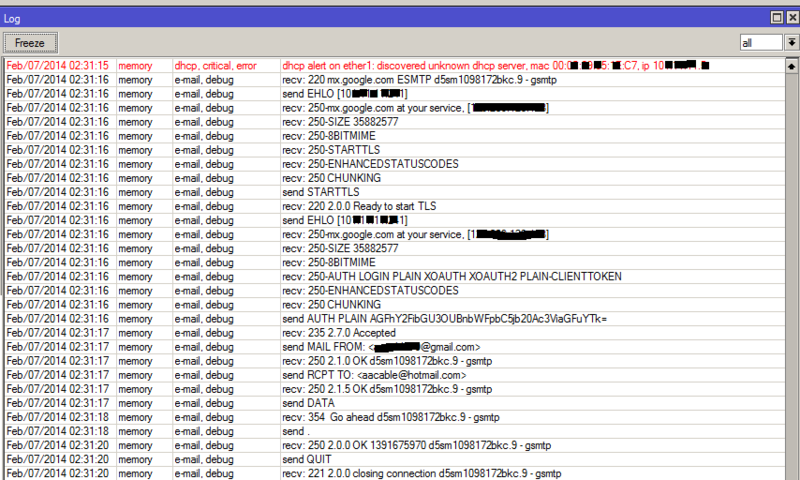 creating and adding resolved entry for 1st time usage ... zaib"
:log warning "Previous List for $LISTNAME found ! moving forward and checking if DNS entries can be added in it ..."
Schedule the script to run after every 5 minutes. Now create a FIREWALL FILTER rule which will actually DROP the request (in FORWARD CHAIN) going to facebook OR youtube address list. Now try to access the facebook, it may be open as usual, but as soon as the script will run, a address list will be created with the FB ip address list, & its access will be blocked. You can also use this technique to block FB in some specific timings only. 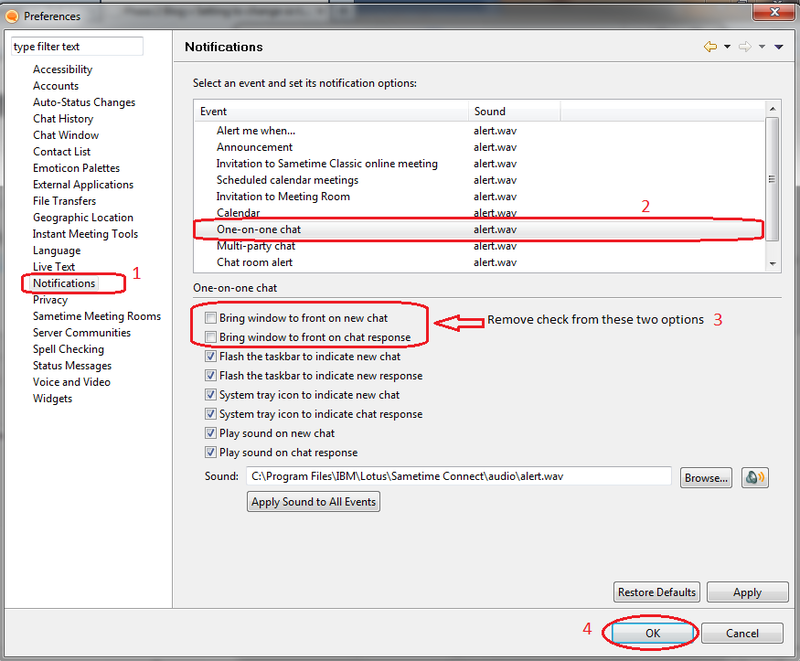 For example you want to block access to FB from 9am to 10:am then use the following filter rule. :log warning "No address list for $TARGET1 found ! 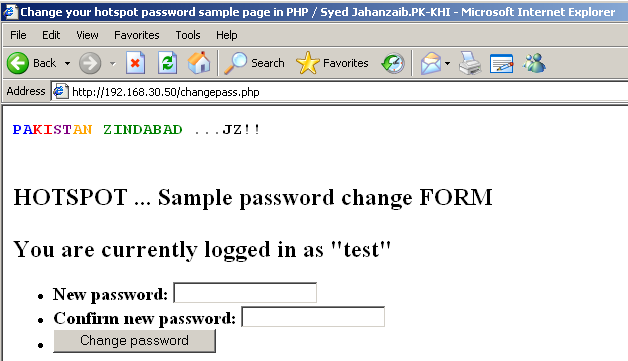 creating and adding resolved entry for 1st time usage ... zaib"
If this method helped you, please do let me know. your comments, tips for improvements etc are most welcome. 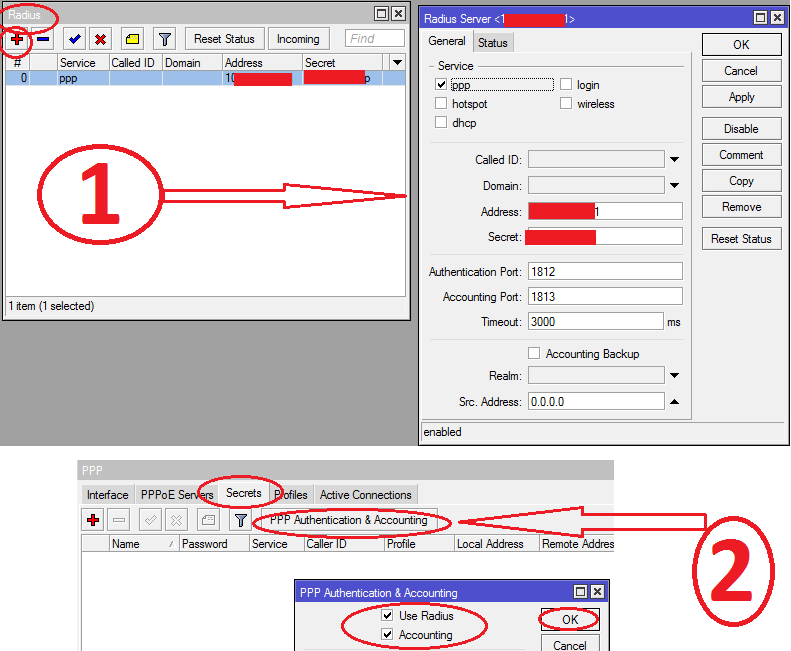 How to provide Mikrotik Hotspot Users an option to change there password using any form or web page? The simple answer is to configure USER MANAGER and provide User Panel which is very nice and informative, it also allows users to change there password too, but what if you don’t want to install User Manager, or what if user also change his information via the user panel which you don’t want them to ?? 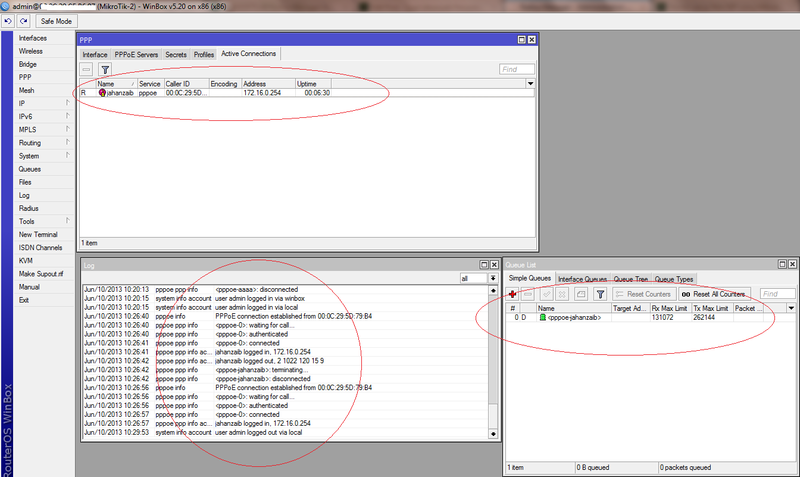 since mikrotik source code is not public so we cannot hide that option (as far as in my limited knowledge) . Using the form base technique you can simply give them a web page from where they can simply change there password when required. You can also add more functions in this page ,like it can send an email or add any entry in log file so that admin can be aware that at which time the last password was changed or other functions as required. This is a simple password change form for hotspot users, After they logged in to hotspot , they can change there own password using this simple form. Ok now it’s time to create the change password page so that user can access it or you can link it with your status page for the user comfort level. and paste the following code. //Adjust RouterOS IP, username and password accordingly. ?><!DOCTYPE html PUBLIC "-//W3C//DTD XHTML 1.0 Strict//EN"
Now once the user have logged in to hotspot, he can access the page like below. & paste the following code. Make sure to tune the INTERVAL setting according to your requirement. Also its a good idea to enter legitimate mac address in VALID SERVER box to avoid false detection of your valid dhcp servers. I am using GMAIL in this example. Also enable EMAIL logging so that in case of any error, you can view it in LOG window for troubleshooting purposes. Now as soon as any rogue/conflicting dhcp server will be detected by Mikrotik, it will log it in main LOG window, and will also send you email alert using your GMAIL ID. 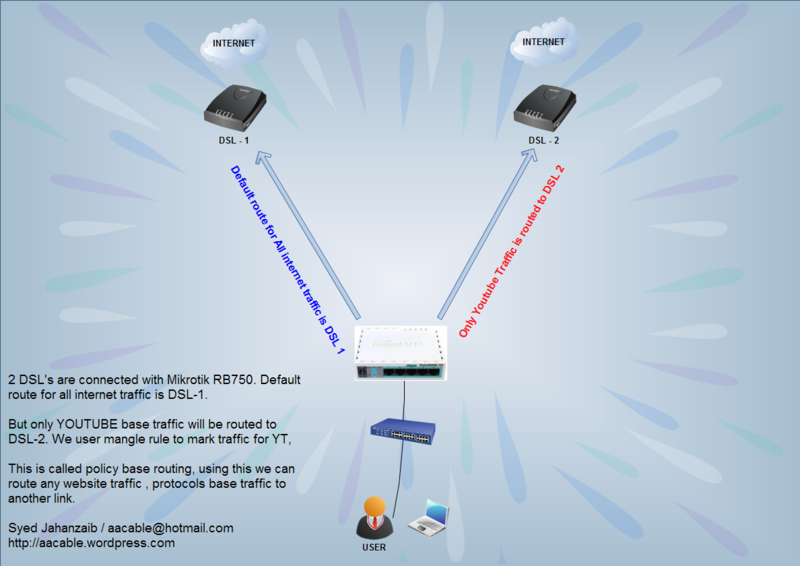 If you have two WAN links, and you want to dedicate one link for the specific web site or FACEBOOK traffic only, you can do it with Mikrotik in few simple steps. First understand the logic, Main idea is to first create the script which will catch the target web site name via dns cache, and then it will add it to a address list with target web site ip addresses. (it will be done automatically via using the script) , Now in mangle, create a rule to mark packets with the above created address list, , then in route section, create new route to forward marked packets to go via WAN 2 link. :log warning "Script Started ... Adding TARGET_WEB_SITE DNS ip's to address list name TARGET_WEB_SITE_dns_ips"
Now mark traffic for the required web site in PREROUTING chain. Finally, create a route for the marked packets to go via second wan. For more info and ideas, please visit following link.